I was excited when I opened the February issue of LAM and saw an article on soil biology from James Sotillo (Sotillo, James. 2015, “Life in the Dirt”, Landscape Architecture, February, p. 58) where he describes what is needed in terms of healthy soil biology for projects to be ultimately healthy and successful. As a designer I have been guiding my clients on the importance of good soil biology. As a contractor, I have been custom blending and using Liquid Biological Amendments (LBAs) for the last year; I’ve been amazed by their efficacy. I have talked to a lot of people about what I’m doing, but there it was in LAM from a qualified person with serious experience and credentials to speak on the topic. One of my essential network contacts, Leighton Morrison of Kingdom Aquaponics, had pointed me toward the article. Morrison had told me about the work Sotillo was doing on a field test for biomass. 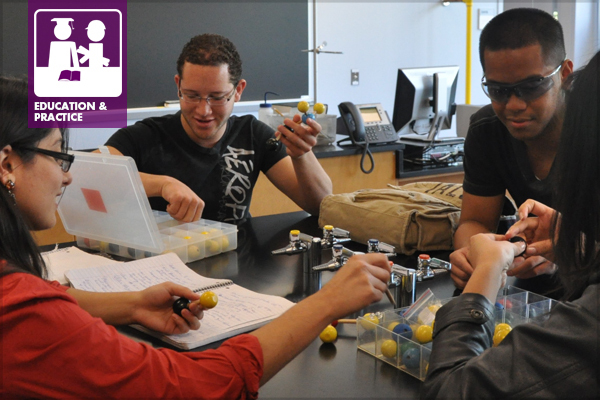 He also told me about a class on using the new field test equipment at Bergen County Community College (BCCC) in New Jersey; I wanted to know what the connection was between Sotillo and the school where the class would be held. After all, one of the important issues for us in the Education and Practice PPN is facilitating the connections between schools and practitioners and I wanted to discover how this connection happened. We hope you all enjoyed the ASLA Annual Meeting in Denver last November. 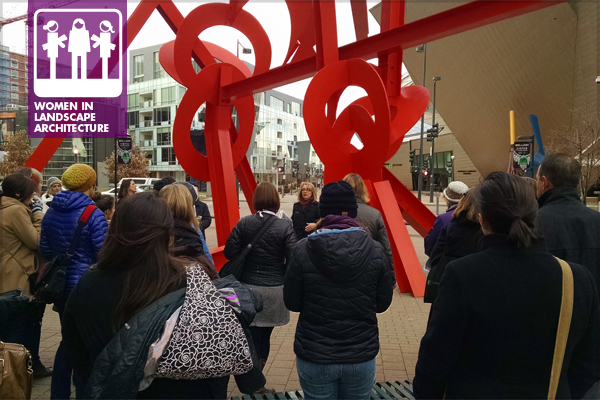 The main WILA events included the WILA Professional Practice Network (PPN) meeting, where we had speed-mentoring, and the WILA Walk. The WILA PPN meeting took place on Saturday, November 22 in the Colorado Convention Center Expo Hall. We had an amazing turnout, stretching the capacity of the PPN meeting room with over 30 attendees ranging from students in landscape architecture to practitioners entering retirement. Although “ice breaker” questions were provided, the group had no problem jumping right into sharing their experiences in landscape architecture. 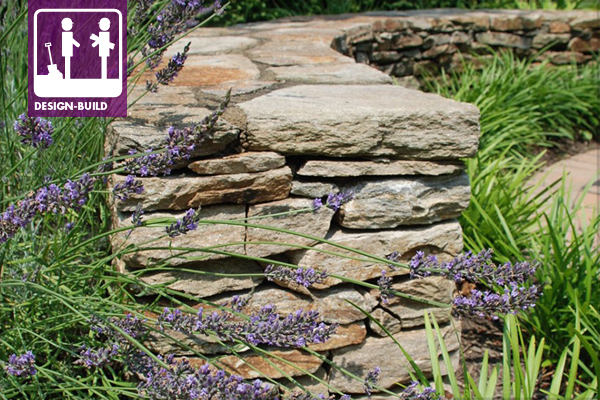 Discussions covered all aspects of landscape architecture practice, from entering practice for the first time to starting a landscape architecture firm, on to ownership transition and retirement. 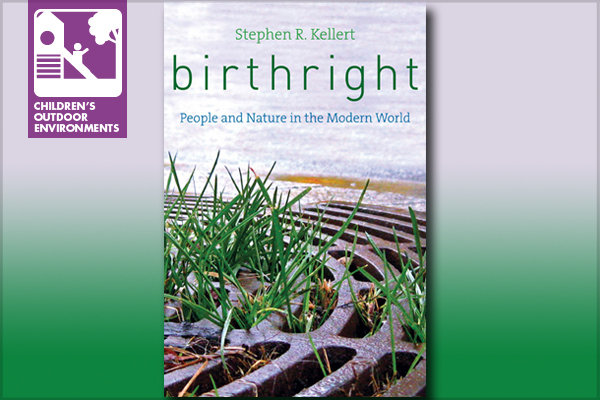 Lisa Horne, ASLA, reviews Birthright by Stephen Kellert, giving insight into how his exploration of humans’ relationship with nature is distinct from that of his predecessors and contemporaries. This analysis touches on the intricacies of Kellert’s arguments, including the role of design in this broad and complex arena, and how connections between humans and nature can be beneficial to both. Kellert’s approach is nuanced, balanced, and honest, providing sound academic reasoning as well as a human perspective on what is, after all, a fundamentally human issue. As the keynote at the 2013 ASLA Annual Meeting and EXPO in Boston, Stephen Kellert gave a provocative presentation for the profession. “Biophilia” is a relatively new concept in design and Kellert’s recent work Birthright gives a heartwarming survey of ideas with relevancy to design and theory. Birthright provides a basis for incorporating nature into our lives. Kellert leaves classifications of nature open-ended and defines biophilia as a love of life. We have an innate desire for nature, which is “a birthright that must be cultivated and earned” (Kellert xiii). This attitude neither advocates a return to an Arcadian past nor forecasts apocalyptic doom. Instead, he asserts that humans will recognize their own self-interest and benefit from investing in the environment. An audience of academics, leaders, policy makers, and professionals interested in biophilia will appreciate the pace, text, and reasoning. To read to full review, visit the Therapeutic Landscapes Network’s blog. 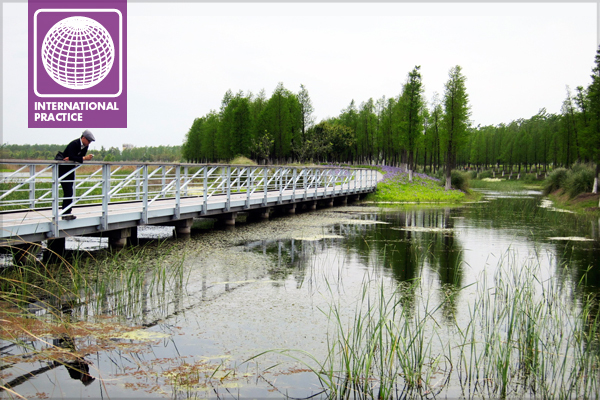 2014 was an uneasy year for most landscape professionals practicing in China. Once fast and furious, the market’s sudden slowdown has left well-adapted practices, both local and international, stumbling to regain their balance. This January, the government announced the country’s 2014 GDP growth of 7.4 percent, which was the lowest in 24 years, and the first year to fall behind the target. Private developers suffered from the policies regulating an over-heated real estate market and stagnant sales. Local governments struggled with heavy debt burdens from previous wasteful decades and became fiscally conservative, especially under the current anti-corruption campaign. When the major drivers of the building industry started to lose their momentum, the looming climate makes everyone wonder which direction this world economic powerhouse will be heading. Let’s not forget that China’s slowdown is partially due to an increasingly large economic base, and there is still endless potential waiting to be explored. From my own observations, further densification in built environments, integration of stormwater management, and rural redevelopment might be several avenues worth noting for my fellow international landscape practitioners. 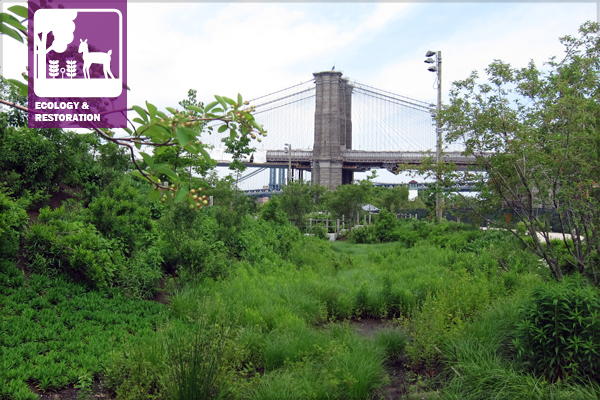 Brooklyn Bridge Park in Brooklyn, New York introduces ecological functionality into a highly urbanized environment. By 2050, an estimated 66% of the world’s human population will reside in urban areas. That number reflects a steady increase in urbanites from 1950 onward. We all know and can understand the benefits and the advantages of limited access roadways, better known as freeways. But, it is the emerging negative impacts that these freeways have on our urban neighborhoods that we are just now beginning to understand. So how did it all start? The envisioned purpose and need stated in the 1938 Federal-Aid Highway Act was to create a roadway network. A network built to a set of standards that would provide for national defense, as well as to meet the desire and ability of the growing general population to drive longer distances. 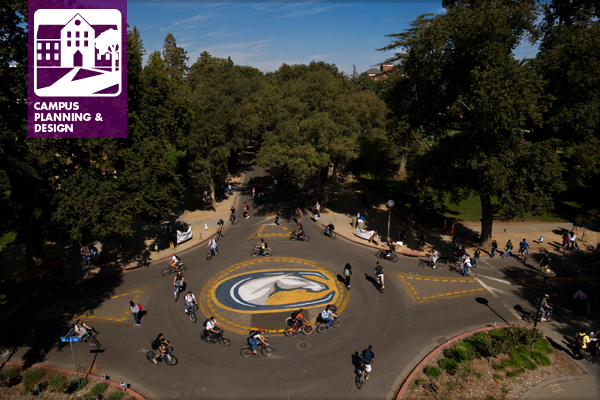 Traveling by bicycle is the one of the easiest ways to traverse the sprawling University of California, Davis campus. Located in the Central Valley of California, the campus is topographically flat and weather is mild—perfect for bike riding. Average annual rainfall in Davis is 18 inches, therefore it is a rare day when you cannot easily get to your destination by bike. With 900 acres in the core campus and another 4,400 acres for agricultural and other natural science research fields, this growing campus with a current student population of over 33,000 is too spread out for walking alone to provide an efficient mode of transportation for most. The campus core area is generally closed to vehicular traffic, significantly enhancing bicycle safety. There are hourly bike traffic rushes during breaks between classes. During that time delivery and facilities vehicles are required to yield the right of way to thousands of cyclists or risk a ticket from the campus police. Pedestrian, bicycle, and vehicular circulation are integral components of any design at UC Davis; however, designing bicycle infrastructure is a unique and complex exercise typically driven by the Campus Planning and Landscape Architecture (CPLA) and Transportation and Parking Services (TAPS) Units on campus. In the summer of 2014, one acre of a five-acre vehicle parking lot was reconfigured into a 600-space bike parking lot serving a gymnasium that was converted into a large lecture hall. This project was designed by CPLA and funded by TAPS. 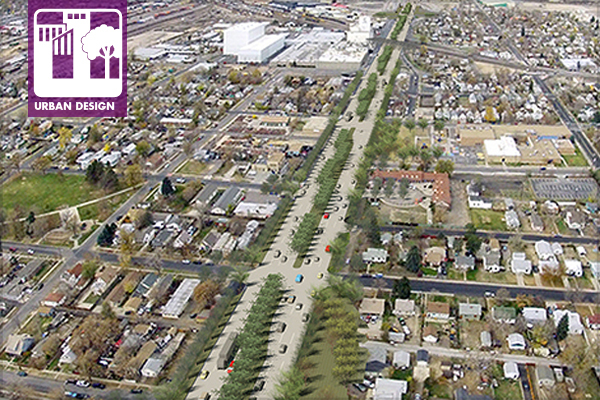 The design involved rethinking and redesigning all modes of transportation in the area to safely and efficiently accommodate the anticipated influx of cyclists. Circulation design for bike lanes, bike paths, bike circles, and bike parking throughout campus is a major component of the CPLA Unit’s workload. Typically CPLA deals with four major bike design situations on a regular basis. A necessary requirement of children’s outdoor environments is a provision for gross motor planning and muscle development. Climbers have long been a method of providing the various movements to accomplish this development. Recent advances in technology and building materials, however, have opened up additional opportunities. Andris Zobs and Ian Glas are leaders in the industry of artificial climbing structures, having built and installed many of these structures in playground environments. They have kindly written the following article to highlight the need for climbing in play environments. As any parent knows, children climb anything, from the dresser drawers to the first time they awkwardly wrap themselves around a tree trunk. Teenagers scale walls and adults seek out remote mountaintops. When we are at our strongest and most confident, we climb. The Outdoor Industry Association puts total participation in rock climbing in the United States at 4.7 million to 6.9 million people, and the Climbing Wall Association estimates that there are 600 climbing-specific gyms and thousands of climbing walls within larger facilities and camps. 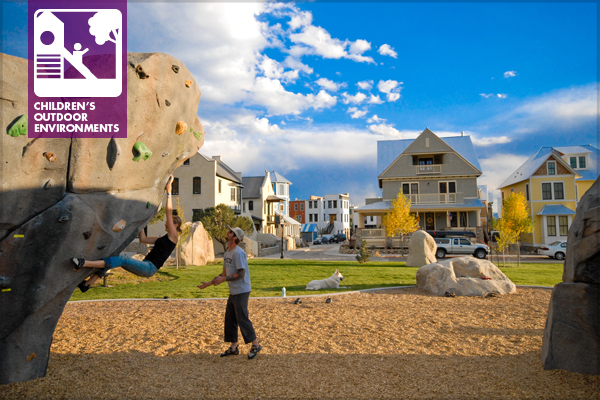 While the popularity of rock climbing seems to have peaked in 2002 to 2006, there has been an explosive growth of nature-themed climbing in playgrounds and parks. With improvements in the manufacture of climbing structures and sculptures, accessibility and safety has improved, making climbing a sport with widespread appeal across age groups and skill levels. Playground designers and manufacturers have recognized that traditional post and deck structures and climbing events don’t fully satisfy the urge to climb that we all feel. In recent years, the industry has stepped forward to meet the challenge with climbing sculptures that have added a new dimension to playground activity, with more realistic surfaces, more challenging athleticism, and creativity in forms. New technology has enabled complete creative freedom; climbers are no longer limited to walls and boulders. Playground designers can now create expressive sculptures that combine the health benefits of climbing while also providing a venue for imaginative play.